City’s Professor of Electronic Engineering, Professor David Stupples, and Visiting Lecturer, Dr David Haynes comment on the TalkTalk attack. 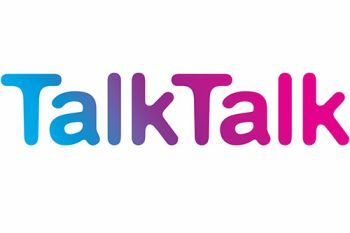 City University London experts in Electronic Warfare Studies and Information Science have stressed the need for stronger measures to secure customer information in light of the recent cyber attack on the website of phone and broadband company TalkTalk on 21st October 2015. In what has been widely regarded as a very serious data breach, the names, telephone numbers, email addresses and addresses, credit card and bank details all 4m of TalkTalk’s customers could have been accessed in unencrypted form. “TalkTalk’s investment in new IT has not been spectacular and the company is probably very wary of the costs and levels of disruption involved”. He explains further that TalkTalk’s current woes have their genesis in “Legacy IT and the difficulties relating to the upgrade or replacement of legacy systems, particularly when it affects customers.". Professor Stupples says TalkTalk relies on a Customer Relationship Management (CRM) system to support its operation and its very many high street/shopping mall outlets, and a universal billing system for collecting revenue. When this system was first developed, CRM and Billing were supported by a single database without any form of encryption.” He notes that before the sophistication of modern cyber attacks, customer data collected by companies such as TalkTalk was protected by access controls, meaning that company employees could only access the data required for the role they were performing. Stating that cyber attacks as we know them today “were in their infancy”, he believes that access to sensitive customer data would have been difficult. Dr David Haynes, a Visiting Lecturer in the Department of Library & Information Science, has echoed Professor Stupples’ call for greater encryption of customer data. However Dr Haynes observes that though there is currently no requirement for the Information Commissioner’s Office to report breaches in the security of data, this will become mandatory under new EU Data Protection regulations which are due to come into force in 2016.